We've seen Planes 2 Fire & Rescue today, and loved it. We told you on You Tube recently that we were going, in a: funny video with me, Aaron and his Dusty "Planes" umbrella. Having seen the first Planes film at the cinema, it's always been Dusty that Aaron's talked about ever since. So today saw us head off very early this morning to Leicester Square which is very dear to my heart as that is where the husband and I did all of our courting in the 80s and 90s, so I love the nostalgia of going back to our cinematic stomping ground. I saw Muppets Most Wanted there, not that long ago also on a preview, so I wasn't prepared for what I saw on arrival today. There was literally a fire engine and Fire Fighters set up outside the Odeon Leicester Square. Of course, being a blogger, it provided some BEAUTIFUL photo opps! 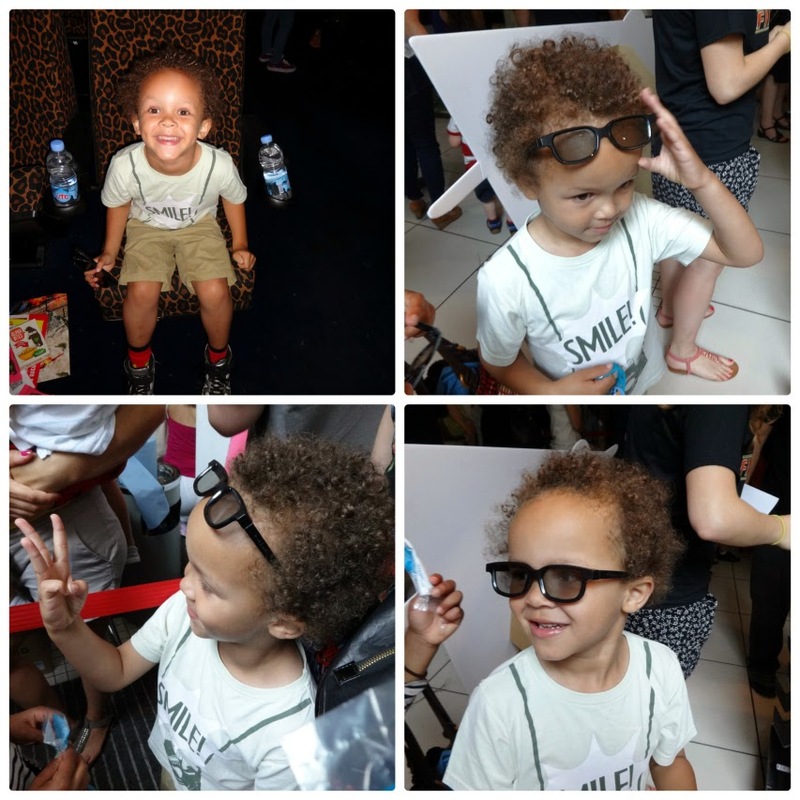 Once I'd papped the kids, we went inside for the Fun in the Foyer (which was laid on for this preview Gala Screening). There was balloon making and lots going on, with a huge buzz of excitement. My favourite pre-movie activity was the opportunity to stand in front of a "green screen" to get the photo you see at the top of this post. Being that it's Disney they didn't do things by halves. I was given TWO printed copies of the photo, each in folders, on photo paper, right there and then (one for each of the kids: Aaron and his cousin) along with a receipt, which meant I was also able to download the photo. EXCELLENT! The attention to detail didn't end there though. When we finally made our way to the auditorium (or screen) there were complimentary bottles of water at every seat (given that it was hot and muggy today these went down a treat). In addition to that though there was a packet of Dino Paws and a box of Alphabites cereal on each and every seat (I munched mine like popcorn - yummy). In short, Dusty (Dane Cook) has a busted part that can’t be replaced or repaired. As such, he can’t race. Understandably dejected, he finds himself able to help his old friends by getting certified as a firefighting plane. Source: Forbes Planes 2 review. Dusty's problem is a broken gear box by the way! This film sees him become a Forest Firefighter, leaving his competitive days behind him. At Sunday dinner today with my cousin and her husband after the film, I remarked to them how kids' films are normally full of adult humour that goes over the head of the kids, while making it fun for parents to accompany kids to the cinema. I remarked that this was lacking, but that I shouldn't complain, as my niece and son LOVED the film and THAT is what's important. (Yes I did hear one joke though: "She left me for a hybrid. I didn’t hear it coming." BOOM BOOM. I also remarked that the film was relatively short (it's only 80 minutes). With children's concentration spans, this is not necessarily a bad thing and was just perfect for us today. 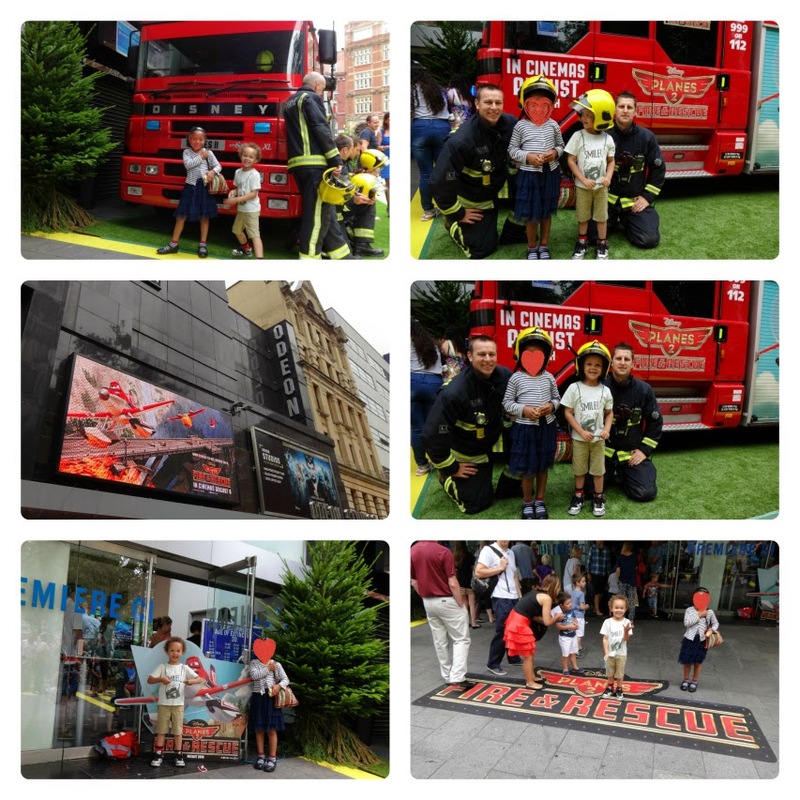 Finally I commented that there was nothing alarming or scary in there, even the fire scenes did not distress my son (4 years old) or niece (6 years old). Aaron jumped a couple of times, but only due to bangs and loud noises as we were literally in the front row. I wasn't confident enough in my film reviewing skills to mention the above three points in this review, however, having done some research online, the Forbes review of Planes 2, confirms and includes all three of "my" points above. 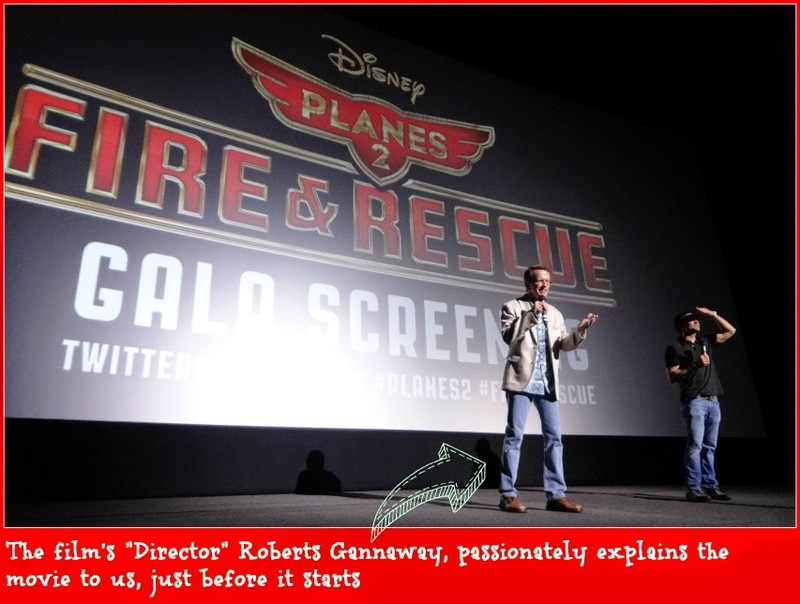 Did you know the first Planes movie was intended to go straight to DVD? I am so glad they have made it into a movie franchise instead. This second film is an improvement on the first (which we loved) which is so often NOT the case with sequels. Incidentally the Forbes review also states "but it cares enough to give audiences of all sizes a real story told with restraint and intelligence along with some beautiful animation to go with it". When others fly out, heroes fly in! Large scale fires, like we see so accurately depicted in the movie, sadly do happen in real life, in the States. The film has its own website so head over there for pictures (that illustrate the stunning animation present in the movie), activities, games, a list of the characters and so much more. Disclosure: I saw the film today. I was not given any other incentive, other than the movie and refreshments. All opinions above are my own except where clearly indicated, and I remain very honest. I think my son would this film as he is a big fan of Cars. I'll have to look out for it in the coming weeks. Aaron looks like he had so much fun! What a lovely day for you both! We haven't got round to watching the first Planes film yet, but it sounds great! Sounds great, I'm hoping to take my son to see this! Looks great and seeing it in Leicester Square is such a treat! This looks like a fantastic movie. Amazing opportunity to see it in Leicester Square. Looks like you all had an amazing time. This looks like a great movie. 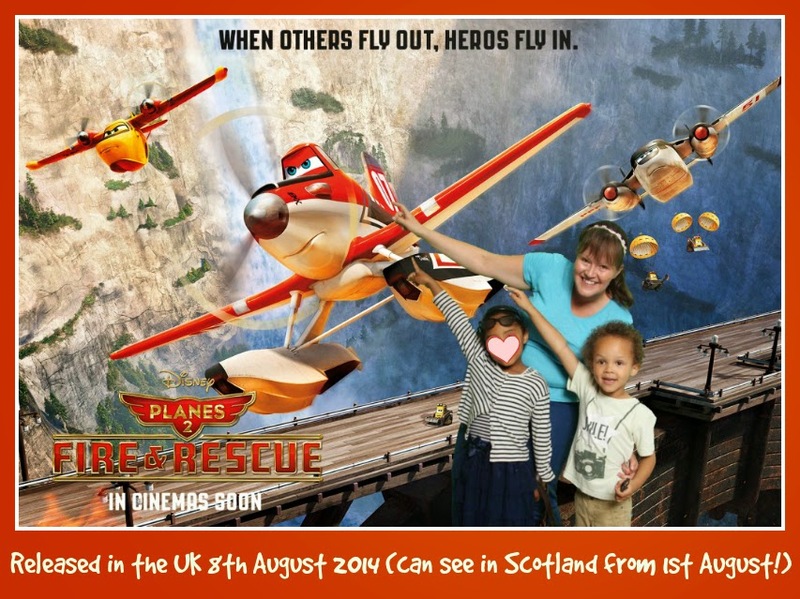 We enjoyed the first Planes so will hope to watch this too.